It can be immensely frustrating, especially if, like me, you share that sense of entitlement found in many regular walkers – that these people really shouldn’t be there, that I was there first, and they should respect my privacy by finding a different pastime. But there are ways around this irritation. The first would be to try being a bit less antisocial. But let’s skip that one for now. 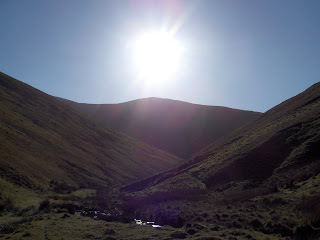 An alternative is to pick more obscure, unknown hills. They can still be found, even in the Lakes or the Yorkshire Dales – you will rarely find a soul on Black Combe, for example. But then there’s a reason why peaks like Helvellyn are popular – it’s because they’re good, they’re dramatic, they offer the most exciting challenges. So it takes a bit of careful planning to get them to yourself. Setting off early afternoon is a pretty simple trick. Catch the last bus or train of the day to your hill of choice, and you’ll arrive just everyone else is heading home. I have had the unrivalled experience of enjoying the summit of Snowdon by myself, on a sunny summer weekend, without a soul about except for the crows and seagulls feasting on the remnants of 1001 packed lunches. Heading up at 3pm, I passed the many hundreds of walkers, oozing down the Pyg Track and Miner’s Track like treacle, with only a few curious glances for my troubles. By the time I reached the western edge of Glaslyn, they had all vanished. Perfect. 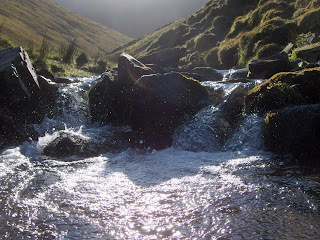 On a mountain like Snowdon, with clear tracks to follow, it’s easy to plan for the walk down in fading evening light. Another way, and useful for trickier summits, is to camp out wild in the hills. This has the added advantage of getting them to yourself again the next morning, before the hordes begin their march. Nothing beats a cup of tea brewed as the sun goes down behind your favourite peak, when there’s not a sound apart from the gentle crash of a stream or the birds overhead. So if you can’t beat them, avoid them – it’s not always as hard as it seems.